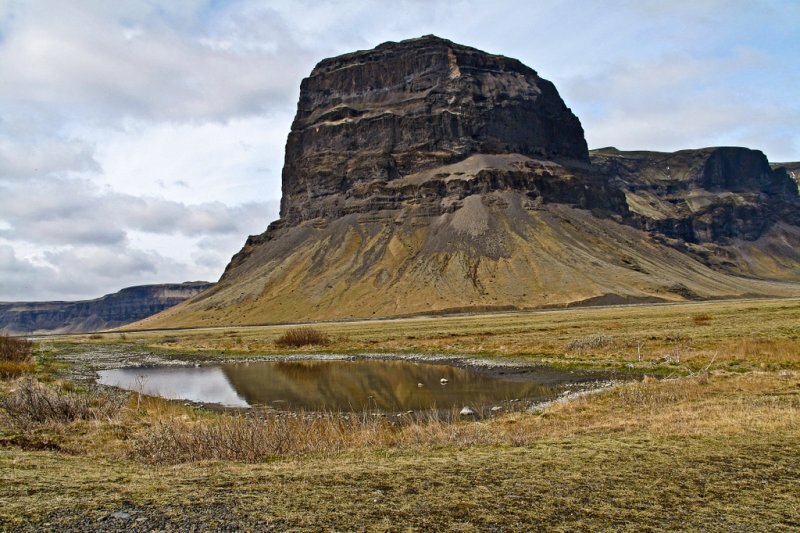 Lómagnúpur are 688 m high palisades that tower south of Björn, west of Núpsvötn on Skeiðarársandur. West of Lómagnúpur is the farm Núpsstaður. The spectacular surroundings of Núpsstaður and Lómagnúpur are well known. The area reaches from the ocean and black sands and all the way to Vatnajökull. Volcanic eruptions, glaciers and lakes have shaped the environment there, in addition to shaping diverse formations. the names of these places are as fascinating as the landscape...fine work..
A fascinating image with rock formation. Very nicely composed. "V"
Very nice capture inded, Vote. It is a beautiful vista .